Important goals of pre-clinical drug development programs (in silico, in vivo, in vitro studies) include the formulation of precise estimates correlating preclinical results to clinical outcomes and to make sure sufficient data has been generated for a new therapy to enter first in human clinical studies. Information generated pre-clinically will also frame the first in human study design and determine the rigidity or flexibility of the early phase clinical program. For this reason, it’s important pre-clinical studies don’t only generate data required to satisfy regulators but also seamlessly integrate the generation of pre-clinical information into the design and planning of early phase clinical development strategy. But how about running successive non-clinical studies after the first clinical study has been initiated? Will non-clinical studies impact clinical development timelines and costs beyond Phase I? Integrating non-clinical development strategy into a clinical development plans is critical, not only to ensure your therapy can continue through the phases of clinical development but also to confirm you have generated sufficient non-clinical data to get your therapy to market. The impact of non-clinical data generation, or lack thereof, on market authorisation was highlighted in a recent market authorisation submission to the FDA. This week the FDA announced it would not review the market authorisation submission of Zogenix’s anti-seizure drug, Fintepla. The reason for the FDA’s decision was, in part, because the submission for market authorisation lacked certain non-clinical toxicity studies needed to adequately assess of chronic administration of the drug. This decision comes even after the company had completed two successful phase III studies and an open label extension study showing significant reduction (54%) of monthly seizures in patients treated with Fintepla as compared to placebo. The result for Zogenix (market cap $1.69bn) was a 23% share price loss. The result for patients with Dravet Syndrome is at least another year until a clearly beneficial therapy is available should Zogenix wish to proceed. 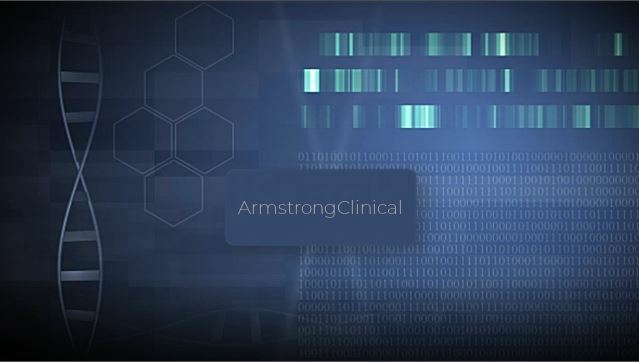 If you have any doubt regarding your pre- and non-clinical data generation contact Armstrong Clinical. Our experts have been responsible for managing the drug development of blockbuster therapies at the headquarters of global pharma to niche therapies at within small biotech companies. We have “been there done that” and can help provide you the confidence your drug development is on the right path.